Adventure Vacation Rentals offers a 4-bedroom pool home as well as 1- and 2- bedroom luxury villas with attached RV/boat garages. They offer top-of-the-line amenities. Their properties boast king beds, flat screen TVs, full furnishings, and wireless internet. Come, stay, play, relax or party the nights away. Whatever you're feeling, Copper Canyon Realty has a home for you. They add that personal touch to every client's needs. 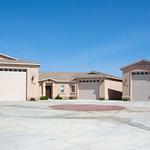 Visit their website for details on their properties and agent contact information. 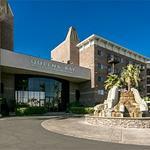 Desert Resort Properties rents fully furnished condos for that home away from home comfort. 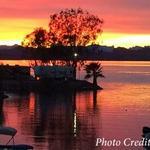 The weather is beautiful and it's time to enjoy a Havasu Vacation Getaway. Top of the line vacation homes and condo rentals are ready for you to enjoy for your vacation. Some have pools, hot tubs and are pet friendly. You are invited to stay in the comfort of a beautiful home or condo with all the amenities to make your stay as relaxing and comfortable as possible. Completely furnished properties. All you need are your clothes and personal items. Enjoy a calm and relaxing environment with three private pools and hot tubs. BBQ grills open throughout the resort. Each of the 94 units includes a stocked full kitchen or kitchenette for your convenience. 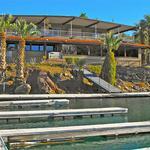 Havasu Realty provides fully furnished and very clean summer or winter vacation rental homes. You will have the assistance of friendly, knowledgeable professionals that will make you feel at home. Some properties are pet friendly. 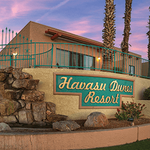 Havasu Springs Resort offers various year-round outdoor activities, fine dining, sports bars, an RV park, vacation homes, four motels, deluxe apartments, and suites. Weekly and monthly rates available. Hidden Palms Resort consistently rates high on "Trip Advisor". 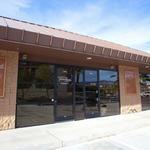 Situated in the center of town close to shopping, restaurants and special events on Main Street. 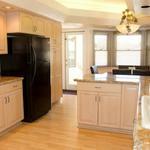 All suites include full kitchens and separate bedrooms. 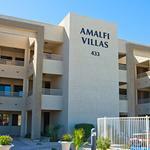 Integrity Arizona offers fully furnished homes from the simple to the luxurious, from 3 nights to 3 months. Homes have fully stocked kitchens (just bring your food), TVs, cable and internet to make your stay fun, easy and relaxing. 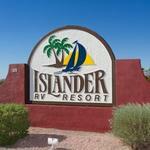 A first-class year-round vacation destination, this resort has a Lake Havasu shoreline location with full hookups, park model rentals, a boat launch, docks and excellent, clean facilities. Enjoy a full spectrum of activities and amenities all year. 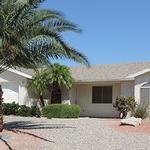 Lake Havasu Vacation Rentals & Sales provide an extensive selection of long and short term furnished and unfunished rental homes, as well as a large inventory of condo rentals with amenities such as pools, spas and pool tables. An upscale gated community. Suites are 2 bedroom, 2 bath turn key furnished with a heated pool, Jacuzzis, boat and RV parking and breathtaking lake views. The London Bridge, lake, beaches, restaurants and golf are just a few steps away. Xanadu Condo Resort offers 1 bdrm/1 bath and 2 bdrm/2 bath furnished condos complete with kitchen, internet, laundry facilities, off-street parking, private balconies, courtyard, pool and hot tub. 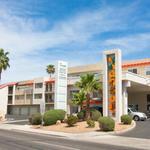 Xanadu offers motel rates and condo amenities.